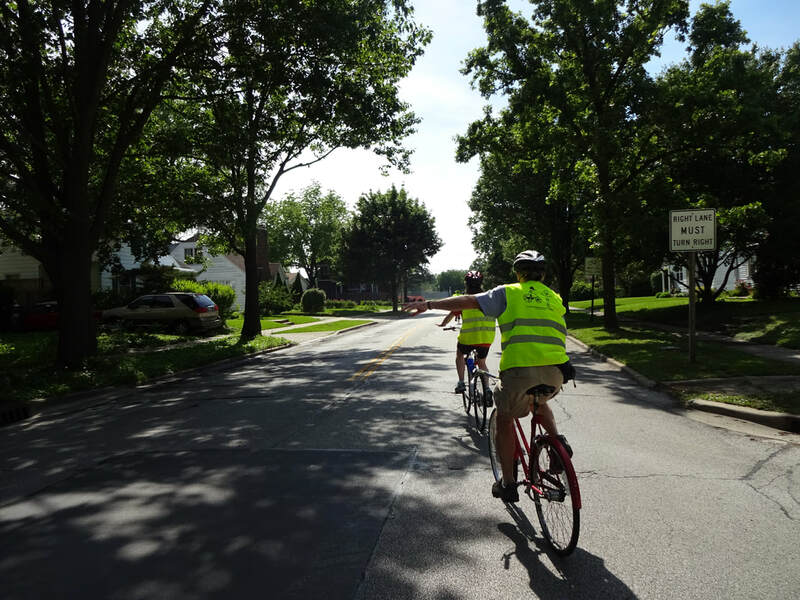 The Champaign-Urbana community needs more confident, educated bicyclists! 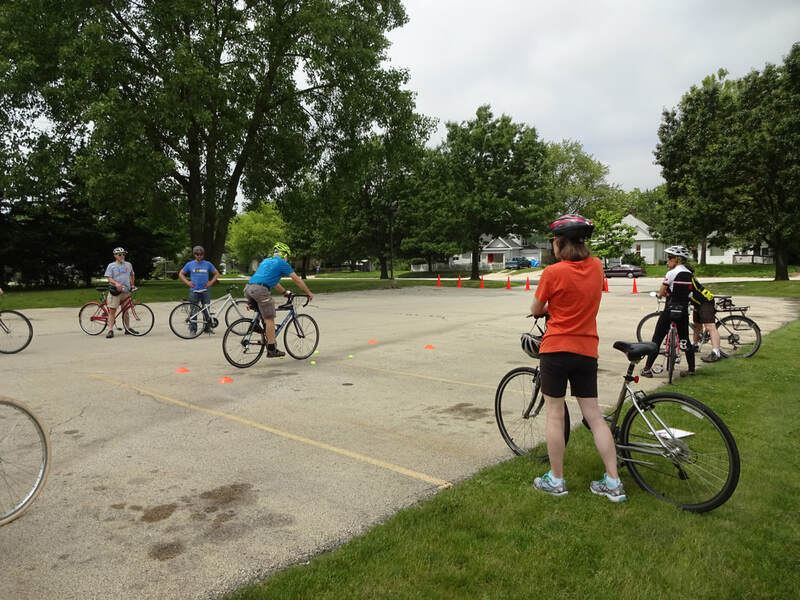 Traffic Skills 101 is not only a great course on its own, but it also serves as the prerequisite to becoming a League Certified Instructor (LCI). Click here for more information on becoming an LCI. What can I learn in this class? Where Should I Ride in the Road? 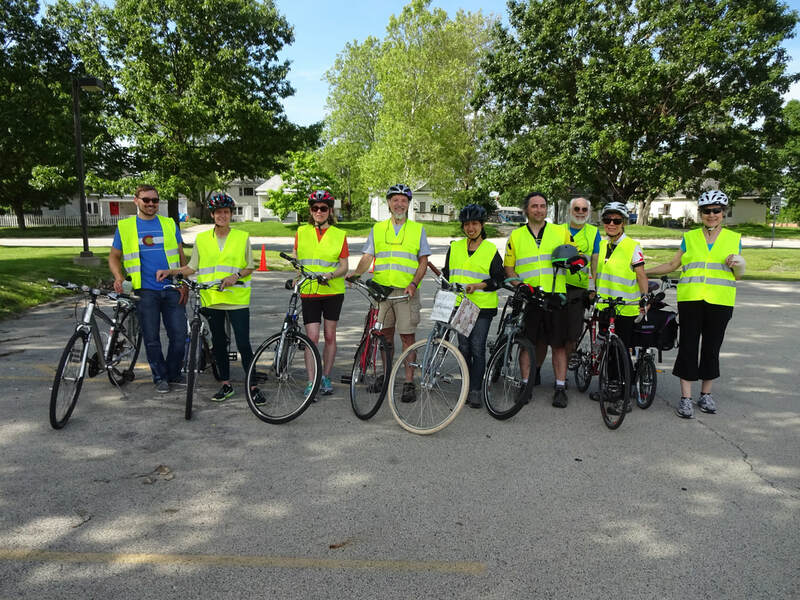 May 27th, 2017 -- We successfully held a TS 101 class during Bike Month 2017. 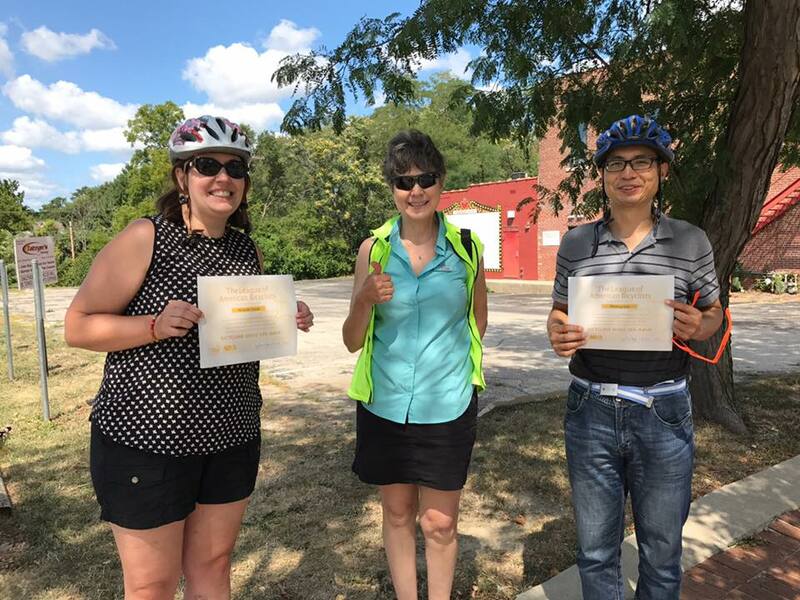 Seven students joined us in the 4.5-hour on-bike class, after completing their online course and test. 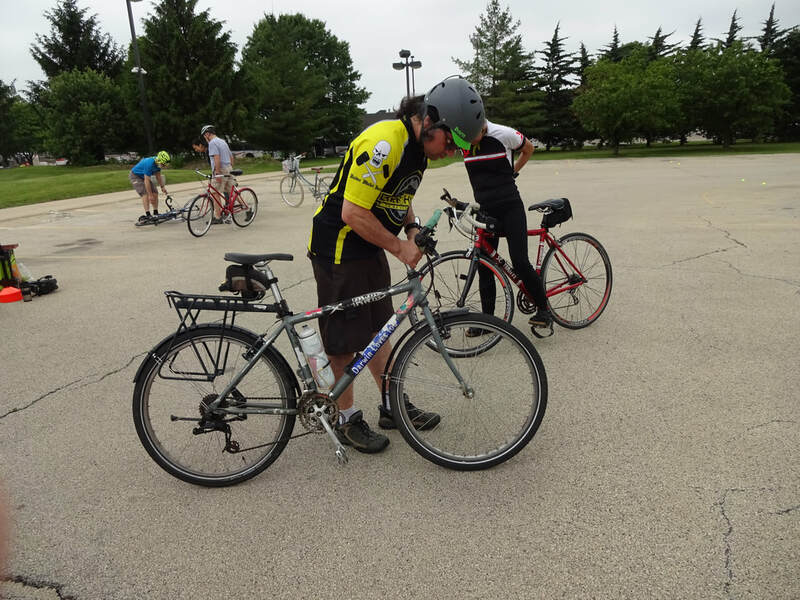 Under the guidance of League Certified Instructors (LCI), students practiced basic bicycle safety skills including bicycle safety checks, starting and stopping, scanning and signaling, and advanced skills like emergency maneuvers and quick turning. 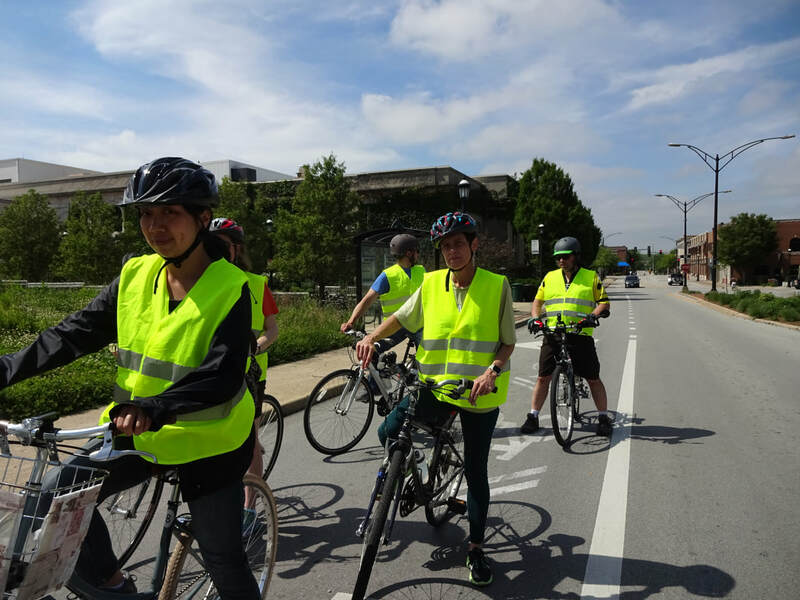 At the end of the course, all the students and instructors joined a group road ride that brought all the safety concepts into practice. August 12, 2017 -- We had a fun class on a beautiful summer morning. with a computer scientist visiting from China and a new grad student from Chicago. Thanks to Neutral Cycle for sponsoring. Check out the archives from each year to see photos from past Traffic Skills 101 classes.